We Got Your Back ZACH! What is a Union Organizing Campaign? What are organizing drives, how do they work, what is possible, what do you get? When a group of employees working for an employer wish to pool their resources in order to give them greater leverage at the bargaining table for wages, working conditions and benefits, they do so by joining and participating in a union. The International Alliance of Theatrical Stage Employees (IATSE) is the largest union in North America representing Stage Employees, Theater Employees, film and broadcast technicians and artisans, and other technical entertainment employees. HOW DOES A UNION ORGANIZING CAMPAIGN WORK? If you are interested in organizing into the IATSE, you will be asked to sign a “Union Authorization” card. The IATSE card can be used to gain recognition from the employer or to seek an election from the National Labor Relations Board (NLRB). Even if you are already a member of the Union, we still need for you to sign a card if you wish the Union to represent you. The employer never gets to see who did or did not sign a card. Any election will be a secret ballot election. It is very likely that the employer or other management people will tell you that the IATSE will take you out on an immediate strike if the company refuses to recognize or bargain with it. This is absolutely untrue. Only you the employees can make that decision, and even then 2/3 of the unit would have to vote to strike. You are the Union! WHY WOULD YOU WANT A UNION? Different employees want union representation for different reasons. Some want better working conditions. Some want health insurance and retirement benefits. Some want the protection of an organization to represent them with the employer. Without union representation, an employer can pay you anything they want, from minimum wage on up, there is no law that requires them to pay anything more than minimum wage. Without union representation and a contract, an employer has no obligation to provide you with any benefits such as health care coverage or retirement benefits. If your Employer provides you with a package of benefits now, they have no obligation to continue these benefits, or to include you in the decision over what the package will include. Without union representation you can be fired for any reason or no reason at all. The IATSE has been successful in negotiating contracts that provide good wages and benefits for the employees who are employed under the collective bargaining agreements. In addition there are representatives who, if you wish, can represent you in your problems with management. You do not have to confront the employer over problems that may occur in the workplace. If your employer didn’t believe that joining and forming a union would be successful in achieving better wages and conditions, why would they fight so hard to keep one out? WHAT LOCAL UNION WILL REPRESENT ME? 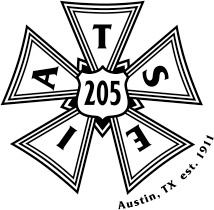 IATSE Local 205 represents stage employees at various theaters, hotels, concert venues and convention centers throughout Austin. Not only will you be able to register for more employment through the local, but will have a larger say in what happens at your current job. REMEMBER, YOU ARE THE UNION! You can reach Sam Chesney at (512) 371-1217 ext. 205 if you have more questions. What is a Union Organizing Campaign really? What Management CANNOT do during an Organizing Drive! Share this Campaign! Show your support! Spread the FACTS!